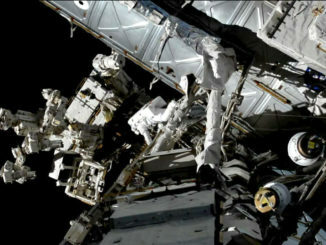 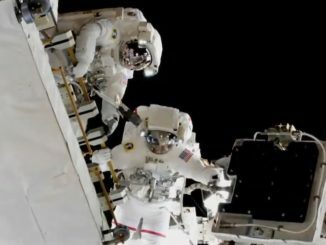 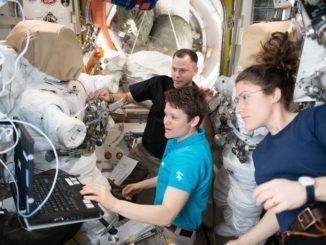 Two astronauts floated outside the International Space Station Monday for NASA’s third spacewalk in less than three weeks for more battery replacement work and installation of cables. 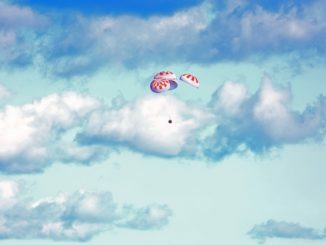 SpaceX’s Crew Dragon spacecraft closed out a six-day test flight in low Earth orbit Friday with an on-target splashdown in the Atlantic Ocean, and officials hailed the ship’s performance before it flies with astronauts for the first time later this year. 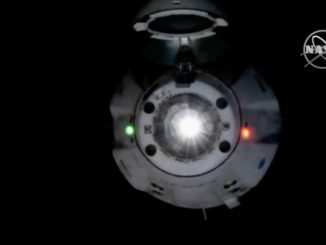 Space station astronauts closed hatches to the SpaceX Crew Dragon spacecraft Thursday, setting the stage for undocking early Friday and a fiery unpiloted plunge to splashdown off the coast of Florida. 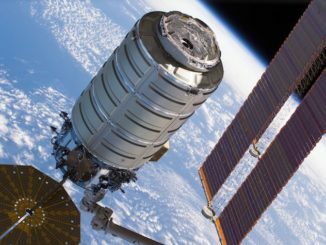 A successful return to Earth will help clear the way for launch of the first piloted test flight of the new ferry ship in the mid-summer timeframe. 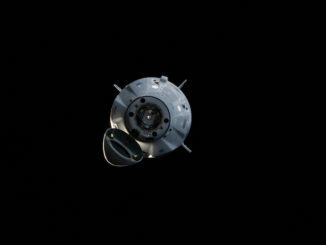 Astronauts aboard the International Space Station took these pictures of SpaceX’s Crew Dragon spacecraft as it approached for docking Sunday, a day after launching from the Kennedy Space Center in Florida. 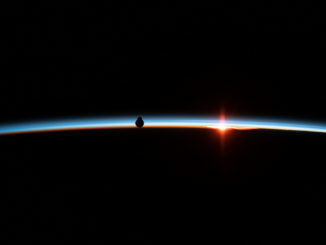 Closing out a 27-hour pursuit after a predawn launch from Florida’s Space Coast, a SpaceX Crew Dragon capsule glided to an automated docking early Sunday at the International Space Station, accomplishing one of the ship’s key test objectives before astronauts take a ride later this year.